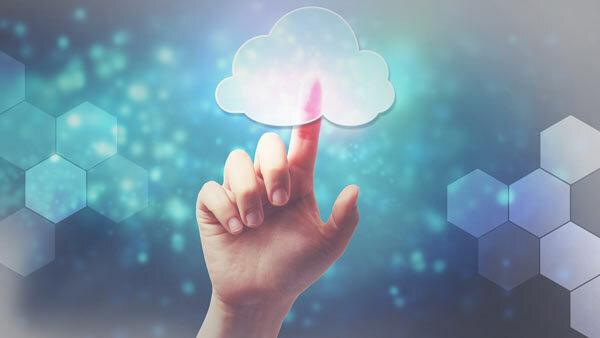 Cloud computing is here to stay and that’s in no way a bad thing. According to Gartner, the global market for public cloud services will be worth $302 billion by 2021. Cloud migration has countless benefits for businesses – improved efficiency, better data management and unified system integration, not to mention the savings that come with ditching legacy systems and moving your contact center from on-premises to the cloud. But as beneficial as these factors are for contact centers, rapid change can be detrimental to your workforce, particularly agents, who might feel their lack of technical knowhow makes them obsolete. So how do you get your entire team on board without striking fear into the hearts of your best agents? The key is to outline the benefits. Put yourself in your agents’ shoes. Suddenly systems and processes have changed, and your staff could be feeling the first pangs of panic setting in. A good method to gauge staff sentiment is to circulate an anonymous survey to determine the main causes of concern and then address those directly. Knowledge and understanding are the best weapons to use against fear. By giving your agents a thorough breakdown of the technological changes being implemented and the skills they will need to work in this new environment, you’re helping them understand how they fit in with your company’s new growth path. Let your agents know they will be trained on any new processes and software being rolled out. This can be carried out in various ways, including workshops, tutorials, e-learning materials and even short courses. Like knowledge and training, clear communication is important to combating harmful gossip and misunderstanding. Explain the benefits of digital migration for the company, the agents and the customer. Of course, change always has its fair share of challenges and teething problems, but the benefits far outweigh the cons. We’ve already touched on how crucial cloud migration is for businesses. For agents, it means an improved way of working. For example, optimized routing frees up more time for agents to focus on meaningful customer engagement. Add to that the ability to engage with customers across various channels and touchpoints, better customer context as well as streamlined CRM integration, which will help them deliver excellent customer service with ease. By training and upskilling your agents, you are essentially investing in their future and paving the way for their career advancement. You’re also showing them that you have faith in their abilities and value them as assets to the business. As part of your change management process, go through the company vision and values with your team and explain how important they are to this vision. Give your agents the opportunity to take ownership of their role. Even if you don’t go as far as to adopt a profit-share model, by expressing your confidence in your agents in this way, you’re gifting them with a greater sense of responsibility. There’s plenty of research to support the notion that ownership culture makes staff feel more personally invested in the success of a business. Change can be a turning point for contact centers. Not only in terms of growth, but also employee development. By managing your digital migration correctly, you can look forward to improved efficiency and processes, as well as greater employee engagement and lower attrition. Read more about how to battle attrition here.